End mill cutters are differentiated by the presence of teeth on one end and on the sides. They are used for tracer, profile and face milling. They also are effective in plunging surfaces within the milling environment. They are a common feature in vertical mills. The models available are made of high quality M35, HSS M2 and ASP 2030 materials. These materials are strong enough to withstand abrasion and extreme heat during milling. These materials also enhance their lifespan and minimize the cost of production by eliminating the need for regular replacement. It can cut into surfaces made of different materials. The End Mill cutter is commonly referred to as flat bottomed cutter. This does not restrict production of rounded cutters that go by the name ball nosed cutters. The other variety of rounded cutter is the radiused cutter that serves a similar purpose. They are used in the same milling environment and produce excellent results. 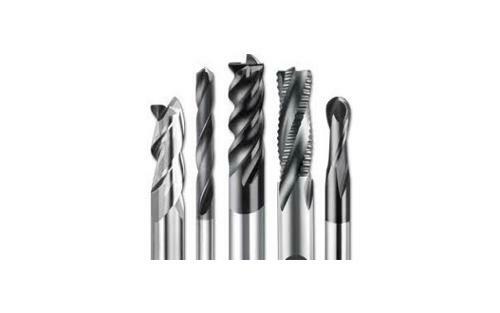 End Mill cutters are made of high speed steel of HSS. This is high quality material that can penetrate comparatively hard surfaces. The cutter can withstand resulting heat without compromising the results. Friction and the heat generated do not wear out the tip because of the superior quality of material used. The number of flutes depends on requirements in your work area. Maxwell tools are made unique by their quality. Each stage during production is monitored by experienced technicians to conform to internal as well as industry standards. Rigorous testing ensures that specifications given by the client are met. Any discrepancy is sorted before the products are dispatched. Computer aided designs ensure consistency throughout production. This forms part of the strict quality control measures taken during production. The choice of high quality products will help you reduce the cost of production and boost your profit margins. These cutters are long lasting and produce consistent results. Reasonable and highly competitive prices. The online portal is advanced to offer all the information you require when making an order. It contains images of the cutters with additional description to make it easier to choose. It also offers an opportunity to send feedback to the factory regarding the product that has been shipped. All issues are addressed with urgency and in the most professional way. A secure checkout system is provided ensuring that your financial details are not compromised. You have the freedom to pay using major credit cards or online transfers. This makes it convenient to get high quality cutters from any part of the world.